It is believed that Cocker Spaniels may have arrived in England during Caesar's invasion and soon became a working dog, helping flush game out of the bush. 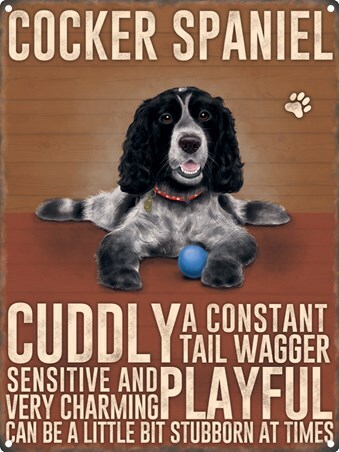 This super-cute tin sign would make a great gift for any Spaniel fan, to hang lovingly in their home. Designed to appear as a 'hand sketch,' a little black-and-white puppy is pictured lazing on the floor, whilst a collection of traits are listed below such as: Cuddly, playful and very charming. 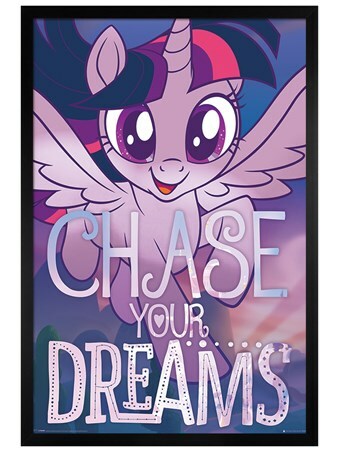 High quality, framed Constant Tail Wagger, Cocker Spaniel tin sign with a bespoke frame by our custom framing service.